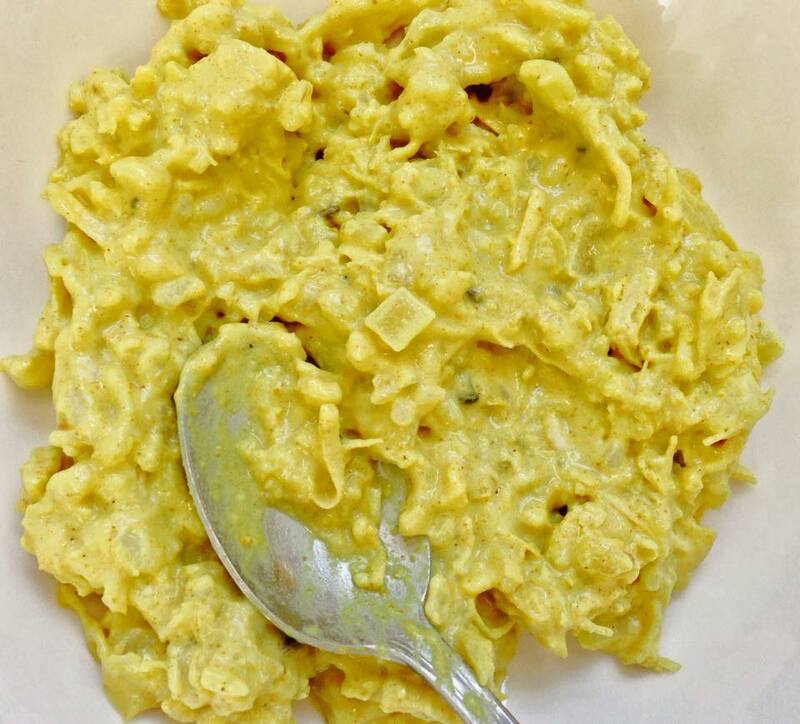 Craving Indian food but don’t have time to cook? Wait – don’t pick up that phone! You can get all the great taste of Indian takeout without the guilt with this super-fast, easy (& healthy!) recipe. Serve it on its own as a light lunch or dinner or pair it with your favourite Indian dishes as part of a family feast. This vegan dish still packs a punch of protein from the chickpeas and brown rice and is a great source of fiber. It’s gluten-free, too! You can throw all of the ingredients in this single serving recipe into a to-go container for an easy on-the-go meal (just heat and eat) OR multiply the recipe to feed the whole family. Chickpeas (and other beans and legumes) are one of the many, many reasons I don’t think I could ever fully adopt or follow a Paleo diet (not to mention cheese, CHOCOLATE, rice and other grains, etc., BROCCOLI – apparently not strictly Paleo ?? – CHOCOLATE, and too many other foods to list because that would just make me sad – did I mention CHOCOLATE?). Whenever I forget (or don’t feel like going to the trouble) to take meat out of the freezer for our family suppers, I just reach into my cupboard for a can of beans for a great high-fiber, meatless alternative protein source for the meal. Last night happened to be chickpeas (a.k.a. garbanzo beans). Then it’s just a matter of poking around in the cupboards and fridge to see what to pair my protein with. 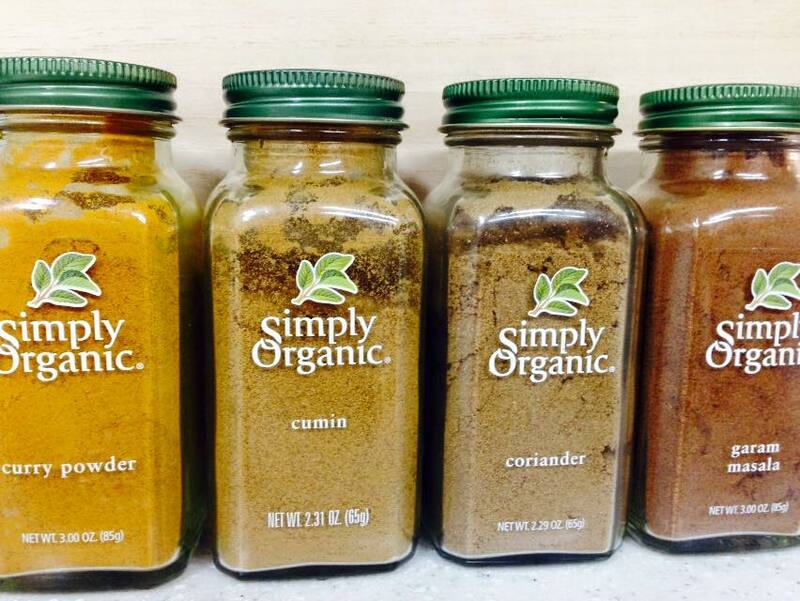 Since I LOVE Indian food (witness my Easy Weeknight Chicken Curry with Brown Rice), I’ve got a great stash of spices. And if you follow my Healthy Meal-Prepping Tips, you’ll always have containers of cooked brown rice on hand during the week, too. Curry, cumin, coriander and garam masala (a spice blend) bring tastes of India to any dish! 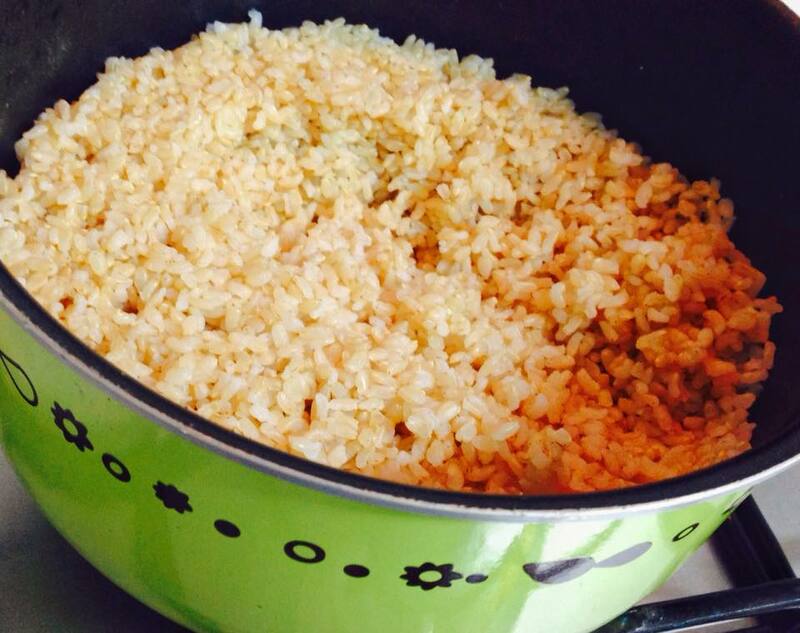 I cook a large pot of brown rice each week for easy weeknight meal preparation. 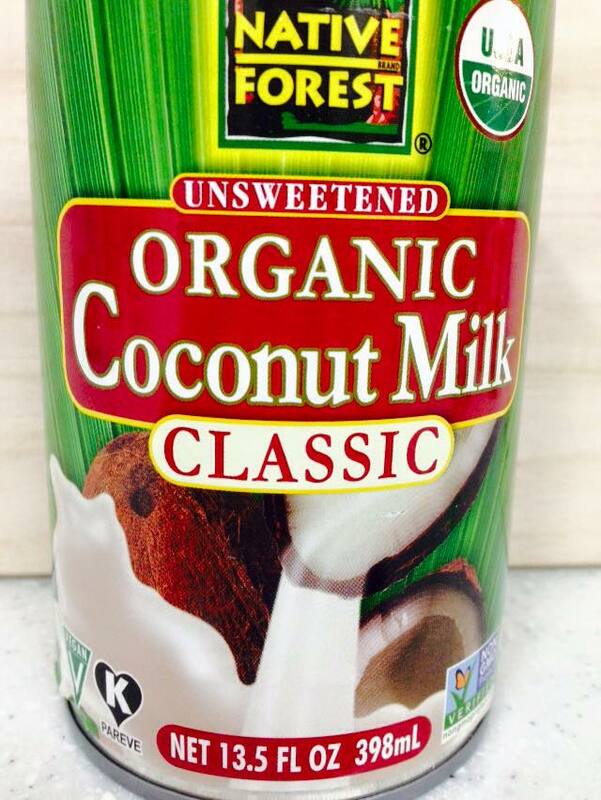 Canned coconut milk adds delicious dairy-free creaminess to this curry along with a serving of healthy saturated fats (the MCT – medium-chain triglycerides) that are part of coconut’s superfood properties. 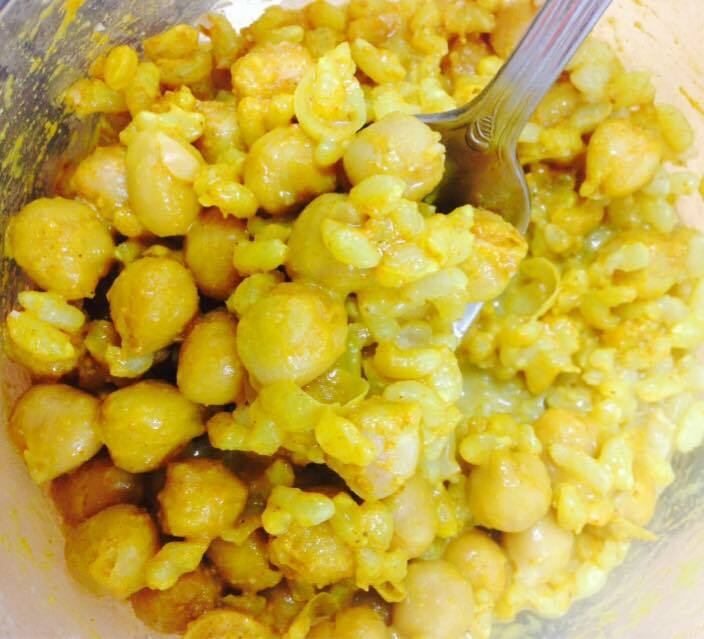 Get all the goodness of Indian food takeout with none of the guilt with this fast & easy curried chickpea dish. 1. Combine first three ingredients in a microwave-safe container OR in a small saucepan over medium heat. 2. Add the spices and stir thoroughly. Adjust to taste. 3. Stir in saucepan until heated through and serve immediately OR store in covered container in your fridge or lunch bag until ready to microwave and enjoy! Note that the recipe easily multiples to serve the whole family (or maybe the whole neighbourhood!). Enjoy immediately or refrigerate in your covered container until it’s time to heat and eat. A stand-alone meal in and of itself, you can also pair this with naan bread and/or your favourite Indian vegetable side dish. Weeknight Winner Wednesdays: Reader Input Needed!